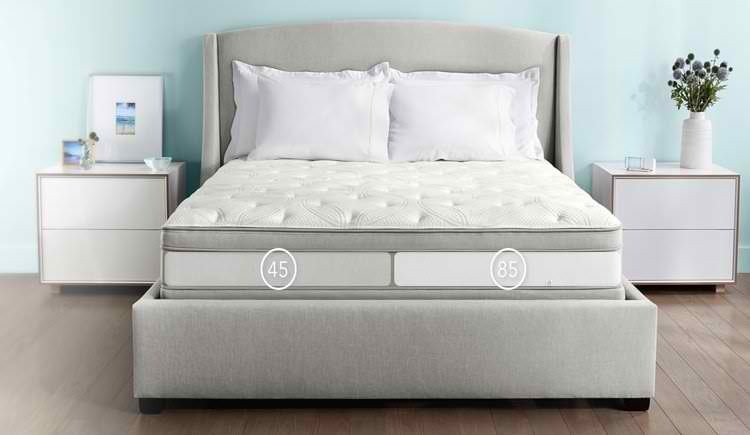 Home » Mattress » 4 Top Sleep Number Mattresses Reviewed – 2019 Update: Are These Adjustable Air Beds Worth The Investment? Is a Sleep Number mattress right for you, though? 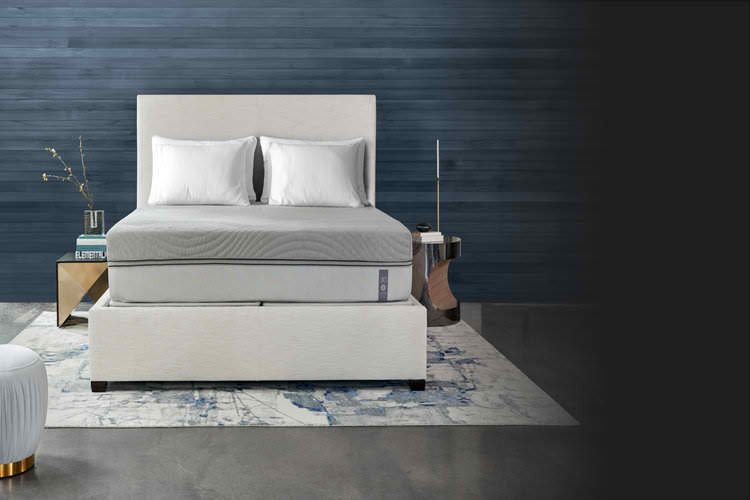 Below we’ve reviewed the top mattresses in each Sleep Number collection, including the key features of each, so you can make a more comprehensive decision when shopping for your new mattress. The Sleep Number Performance series is the brand’s most popular collection, featuring two mattresses with memory foam layers to give them a higher profile and more pressure relief than their Classic series. What is a Sleep Number Setting? Our top pick from Sleep Number is the Performance collection, which is the brand’s most popular series of mattresses. With a comfortable foam top layer and temperature regulating technology, these mattresses provide a supportive night’s sleep for a fair price. 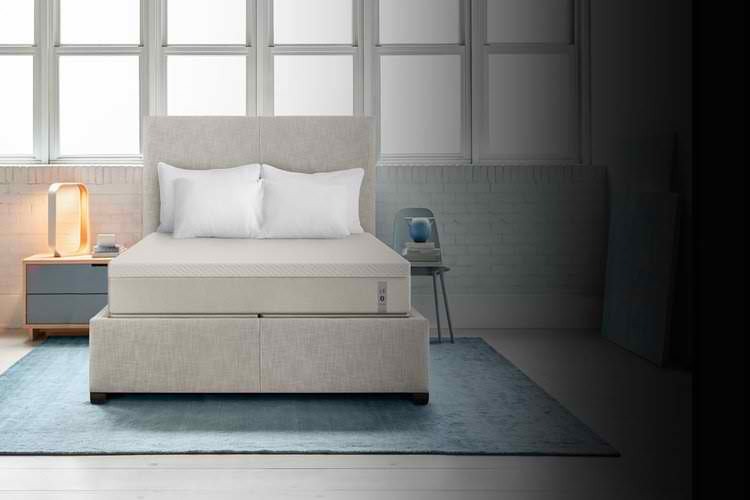 Next best is the Classic collection, with two affordable mattresses that still include Sleep Number’s innovative adjustable air chamber technology. Sleep Number is a US-based mattress manufacturer best known for its adjustable air beds, allowing you to set the firmness and support of your mattress to suit your individual needs. Sleep Number has four different collections to choose from: Classic, Performance, Innovation, and Memory Foam. Each collection has different features to suit a range of budgets and preferences. The Classic series offers the most basic mattresses and is, therefore, the most affordable, whereas the Innovation series, in contrast, features the brand’s top-of-the-line mattresses with extra memory foam and cooling technology. A key feature of the Sleep Number mattresses is that they come with DualAir adjustability, which means the Full-size mattresses and larger can be independently adjusted on each side, making them ideal for couples with different sleep preferences. The two mattresses in the Performance collection are the p5 and the p6. Both have layers of contouring comfort foam on top of the air chambers to provide a softer feel, with the p6 having slightly thicker comfort layers than the p5. The biggest difference between the Sleep Number Performance series and the more basic Classic series is the additional foam layers in the Performance mattresses, to provide a softer feel with additional pressure point relief. The Performance series is constructed from air chambers that have DualAir™ adjustability, allowing you to set your individual sleep number for your side without affecting your partner’s preferences. The p5 mattress from the Performance series is then topped with a 4-inch combination of comfort layers, providing a more cushioned surface with a medium-soft feel. Likewise, the slightly more expensive p6 mattress has a 5-inch thick comfort layer for added comfort. Another impressive feature of the mattress is that it is designed to respond and adjust its level of firmness throughout the night as you move, which people who tend to move around a lot at night might appreciate in particular. The comfort layers used in the construction of the Performance series are designed to provide pressure relief as you sleep, supporting the shoulders, back, and hips. While the firmness of these mattresses depends on your Sleep Number setting, the Performance series is likely to have a firmer feel, as the mattresses have a thinner layer of foam on top of the air chambers in comparison to the more padded Innovation collection. The p5 does receive some negative reviews for how firm it is and may be too hard for side sleepers especially. The p6 has one more inch of comfort foam, so it should provide a slightly softer surface. In addition, the durability of these mattresses does not perform particularly well in user reviews. Although you have a 100-night sleep trial period and a 25-year warranty with your purchase, the less durable construction is a downside when you consider the higher price of the mattresses in the Performance collection. If you are looking for a similar mattress that is medium-firm with cooling properties and comfortable memory foam, we highly recommend checking out the Nectar mattress, which is also a cheaper alternative. The Classic series is the most basic collection from Sleep Number and is the most affordable option as a result. These mattresses have thinner layers between the air chamber and the top of the mattress, resulting in a firmer feel that may not suit everyone. The Classic series features a choice of two mattresses: the c2 and the c4 models, with the main difference being the thickness of the comfort layer within the mattress design. The Classic collection features two mattresses: the c2, which is 8-inches high and the c2, which is 9-inches high. This collection is Sleep Number’s most basic offering, with thinner comfort layers topping the air chamber(s), which also results in a firmer feel. The c2 mattress has a 2-inch gel infused comfort layer of polyurethane foam on top of the air chamber, while the c4 mattress has a 3-inch thick layer, to give it slightly more cushioning and support. While the firmness of your mattress changes depending on what Sleep Number setting you select, the thinner comfort layers will still give these mattresses a firmer feel than the Innovation or Performance collections, which have thicker comfort layers of memory foam on top of the air chambers. 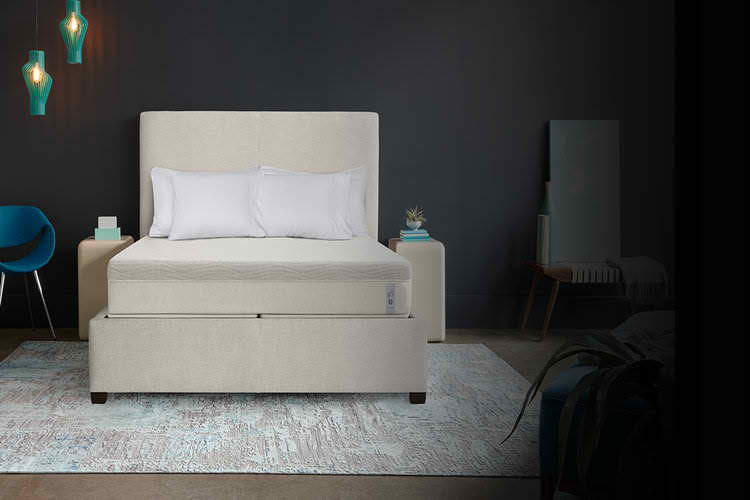 The Classic Collection benefits from Sleep Number DualAir adjustability, meaning couples can select their own Sleep Number setting without affecting the other side of the mattress. The mattresses also come with SleepIQ technology, which helps track your sleep throughout the night. Both mattresses come with a 100-night sleep trial period, allowing you to fully test whether the mattress is right for you before committing to it. You’ll also get a 25-year limited warranty when you buy any of these mattresses. 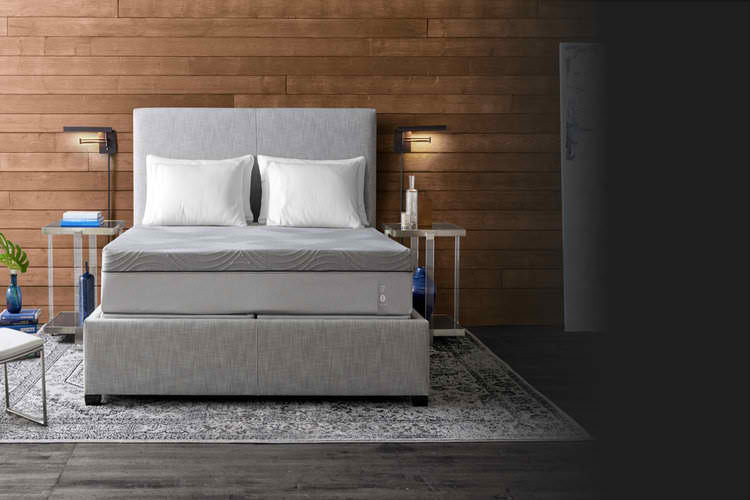 Overall, the Classic collection consists of two no-frills mattresses that provide an affordable way to enjoy the innovative Sleep Number technology. However, many user reviews report that the mattresses are very firm, providing an uncomfortable sleep surface, especially for side sleepers. While the mattresses are affordable, they may not provide an adequate level of comfort for many sleepers. If you’re looking for other mattresses at this price-point, you might like the Amerisleep AS1, a firm memory foam mattress that is shipped in a box for added convenience. The Innovation series is Sleep Number’s top-of-the-line luxury range, with four different mattresses to choose from. These mattresses are thicker than the other collections, with more memory foam and dynamic comfort layers used in their construction and they also include temperature balancing technology to keep you cooler while sleeping. The Innovation series features four mattresses: the i7, i8, i10, and iLE (limited edition). These luxury models are thicker than the other collections, with the i10 being the thickest mattress and measuring 13-inches in height. 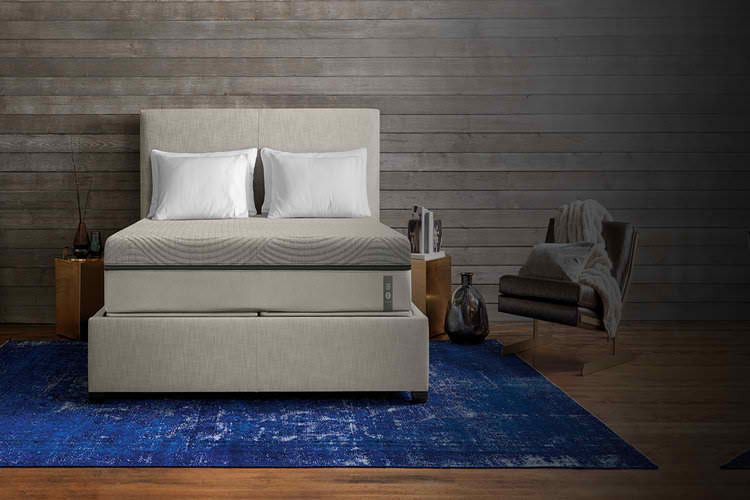 What’s more, the Innovation series includes more comfort layers of foam to contour to your body and provide better pressure relief, while the mattresses also include temperature balancing technology, designed to keep you cool throughout the night. The Innovation mattresses are constructed from the same one or two air chambers used in all collections, with DualAir adjustability to allow you to set your individual sleep number without affecting your partner’s side. The Innovation mattresses are also designed to automatically adjust in firmness on either side of the mattress to keep you comfortable throughout the night, so you don’t need to worry about the mattress losing firmness as you sleep. These mattresses have several more foam comfort layers than any other mattress from Sleep Number. The i7 is 11-inches in height with a 5-inch thick comfort layer constructed from a combination of memory foam and dynamic foam, which naturally contours to your body for enhanced support and pressure relief as you sleep. The i8 and iLE are both 12-inches thick, with a 6-inch layer of memory foam and comfort layers, while the i10 is the thickest mattress, at 13-inches in height with a 7-inch comfort layer. The Innovation series not only includes additional comfort layers, it also has temperature balancing technology within the top memory foam layer and cover designed to keep you cool as you sleep. This phase change material is made from gel-infused particles, which absorb excess heat when you get too hot and return the heat as you get colder – ensuring that your temperature remains at a comfortable level throughout the night. 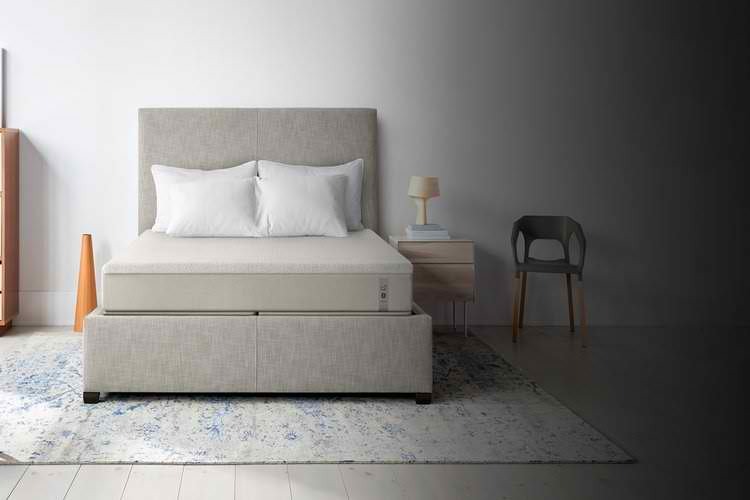 The cover of the mattresses in the Innovation series contains micro-capsules to work in tandem with this technology and feels cool to the touch. The Innovation collection receives generally very positive reviews online, with many users reporting that the combination of the air chambers and the comfort foam layers provide a supportive and comfortable sleep surface. That being said, these added features come at a much higher price than the other collections from Sleep Number, so these mattresses are not the most suitable for anyone on a budget. For a similar luxury-feel mattress, we’d recommend checking out the DreamCloud mattress. It’s a hybrid mattress with a plush feel and excellent motion isolation, but at a less expensive price. Sleep Number offers two mattresses as a part of their Value Beds series: the S1 and the S3. With less advanced features than the other series, the Sleep Number Value Beds are the most affordable, although they do still include SleepIQ technology to allow you to adapt your mattress firmness to suit your preferences. 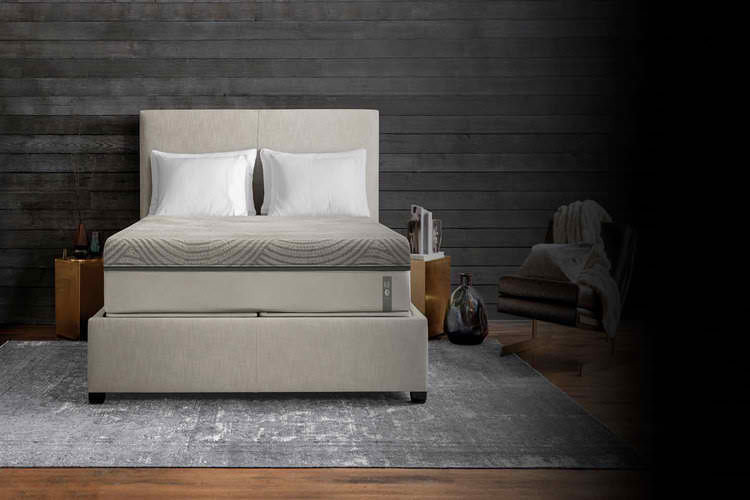 The Value Beds series features two mattresses: the S1 and the S3. These mattresses have fewer features included in their construction, therefore making them most suitable for people who are interested in a Sleep Number mattress but on a budget. Both mattresses have the same air chambers with DualAir adjustability as the mattresses in other Sleep Number series and SleepIQ technology, so you can still inflate or deflate your mattress to find your ideal Sleep Number setting. The Value Beds don’t, however, have Sleep Number’s Responsive Air technology, which automatically adjusts throughout the night to ensure you stay comfortable. Without this, you may find that your mattress changes slightly in firmness as the night progresses and you may need to re-inflate your mattress more frequently. The S1 is a plush-style mattress with a breathable knit fabric cover, and a 1.5-inch comfort layer above the adjustable air chambers, featuring five zones designed to contour to your body for pressure relief. The slightly thicker S3 mattress has the same 5-zone comfort layer, but with a PlushFit ‘pillow top’ to provide additional cushioning and pressure relief to aid you in getting a better night’s sleep. The comfort layers of the Value Beds mattresses are therefore significantly thinner than the Performance and Innovation mattresses, although both the S1 and S3 are thicker than the Classic series mattresses, at 10 and 11-inches high, respectively. Although relatively simple in design compared with the more luxurious Performance and Innovation series, the two Value Beds mattresses receive generally good reviews. The S1, in particular, receives glowing reviews on the level of comfort and support it provides at an affordable price, while both the S1 and S3 have a number of great reviews on helping to ease back and hip aches and pain. Both mattresses also come with Sleep Number’s standard 25-year limited warranty and 100-night sleep trial period. If you like the sound of the Sleep Number technology but are on a budget, these two mattresses offer great value for money and will allow you to experience setting your own firmness level without having to pay for the additional features. Another option something like the Value Beds series is the Layla Sleep mattress. This affordable double-sided memory foam mattress has a firm side and a plush side – so you’ll still be able to find the right feel for you! Your personal Sleep Number setting will help you feel supported, comfortable, and well-aligned when laying on your mattress. Your Sleep Number will change depending on how firm you like your mattress and is set by inflating or deflating the air chambers inside your mattress. You can find your ideal Sleep Number setting by lying back and selecting the ‘Find My Sleep Number’ feature on your SleepIQ app, which comes with every purchase. Your mattress will then become firmer as the air chambers inflate and, once it has reached maximum firmness, it will then start getting softer as the air chambers deflate. When you feel at your most comfortable and supported, you press ‘Stop’ and your Sleep Number setting will be saved to the app. Sleep Number settings range from 0 – 100, with 100 being the firmest setting. 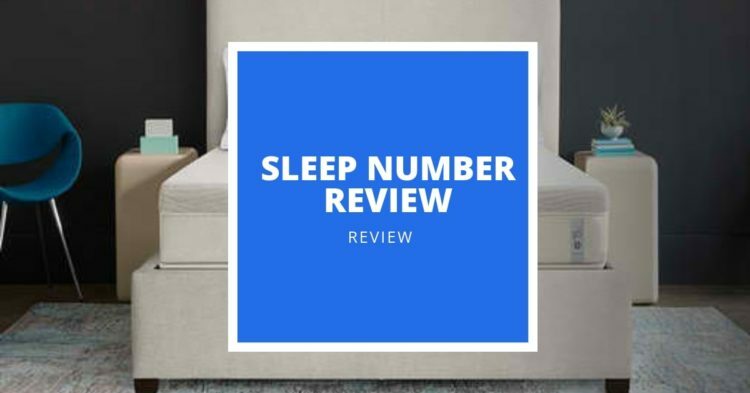 Sleep Number reports that their most popular setting is in the 35 – 40 range, but this is completely dependent on your personal preferences and what position you prefer to sleep in. SleepIQ is the app that comes with the Sleep Number mattress. It tracks how well you sleep each night and provides insight into your sleep quality. These insights include your ideal Sleep Number setting and the best sleeping hours for you and the app even connects to other health and wellness apps to create a better picture of how your sleep affects other aspects of your health. All Sleep Number mattresses have one or two air chambers inside of them, depending on what size mattress you have. These chambers are what make up the base of the mattress, except in the case of the memory foam m7 mattress, which has a foam base layer underneath the chambers. The air chambers use a pump to bring air into the mattress, either inflating or deflating the chamber depending on where you set your Sleep Number setting. For mattresses that are a double or larger, you will have two air chambers, allowing you to choose a different Sleep Number setting on either side, which is ideal for couples with different sleep preferences. The Sleep Number mattresses can be used on any firm, flat surface that evenly supports the air chambers inside the mattress. For this reason, a box spring should not be used with your mattress. 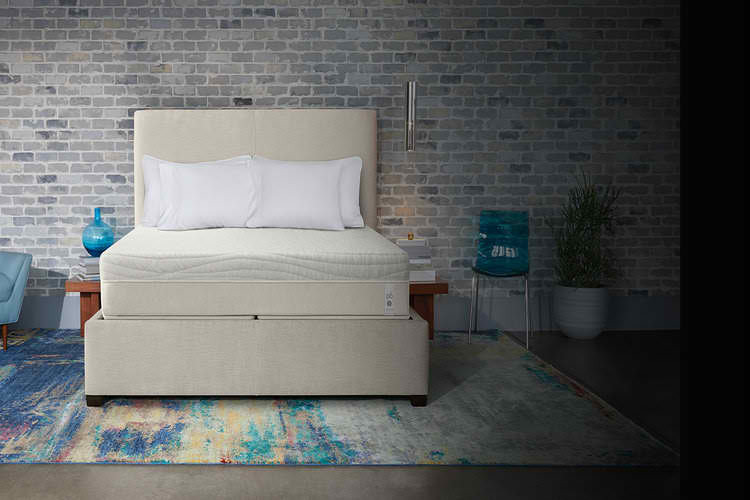 Sleep Number also offers a range of adjustable bases, such as the FlexFit Smart Adjustable base, which allows you to elevate your head and/or feet for an even more comfortable position. All Sleep Number mattresses come with a 100-night sleep trial period, which gives you 100-nights to decide whether the mattress is right for you. If you decide it isn’t right for you in that time, you can return your mattress for a full refund. The mattresses also come with a 25-year limited warranty against manufacturer faults and defects. Sleep Number delivers your mattress to your door with professionals on hand to install your mattress and show you how to work it. They can also take away your old mattress when they deliver your new Sleep Number bed. Overall, the Sleep Number adjustable air chambers are an interesting feature included in every mattress on offer from this brand. The mattresses are rated particularly well by couples, as the dual adjustability of the mattresses provides the perfect solution for partners who prefer mattresses with different firmness and support levels. 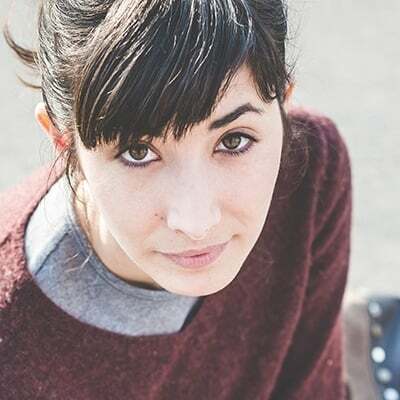 However, the general consensus is that the pricier mattresses – particularly the Innovation and Memory Foam collection – may not be comfortable or durable enough to reflect the overall price. We hope this has helped you make a more informed decision on whether a Sleep Number mattress is right for you.